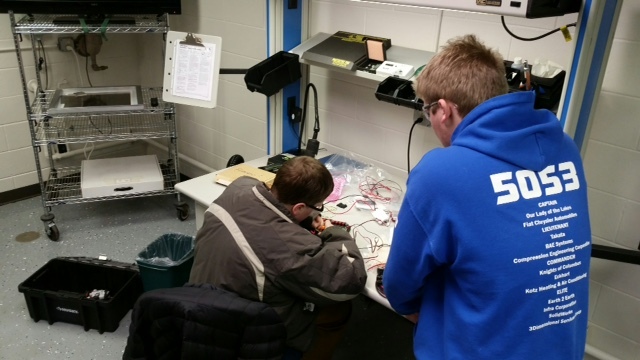 The Murray Percival Co was pleased to host the Our Lady of the Lakes High School FIRST Robotics Team at our facility recently. There was a conflict of scheduling at the parish with their normal meeting spot so we were asked for our assistance. They felt our facility offered just what they needed. Our conference room was used for the strategic portion or their meeting and our demo room with ample bench space was perfect for the assembling the robot components. 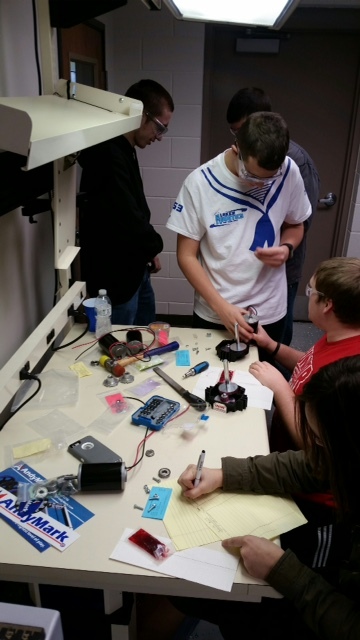 The OLL Robotics team has grown to 18 students this year and has an impressive win record. This was a very important meeting as just the day before the FIRST Robotic organization released the 2017 competition challenge and the kids were eager to get going. First Robotics is a very worth wile program and I urge you to take a look at the program and consider how you might help your local teams, they are always looking for sponsors and the investment is well worth the gratification you will receive and the experience the kids will gain.